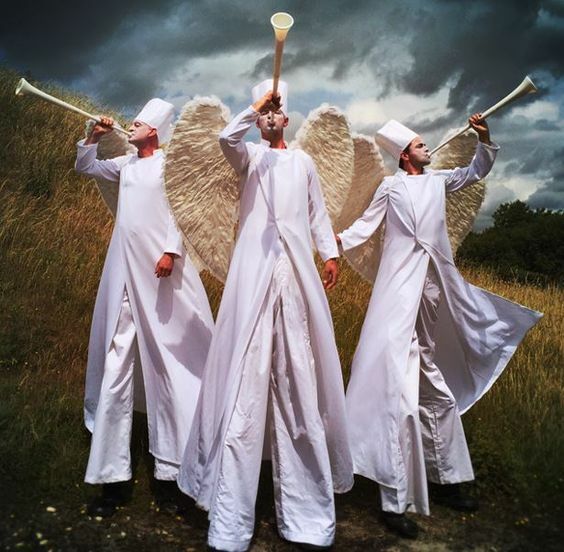 Electric Stiltwalkers provide fabulous theatre, refreshing and unusual entertainment, surreal happenings, issue awareness, theatrical solutions for businesses, training and education for all. Our performances aim to encapsulate and convey the leap of the imagination that is inherent in good expansive theatre, where literal is exchanged for abstract and concepts reign. 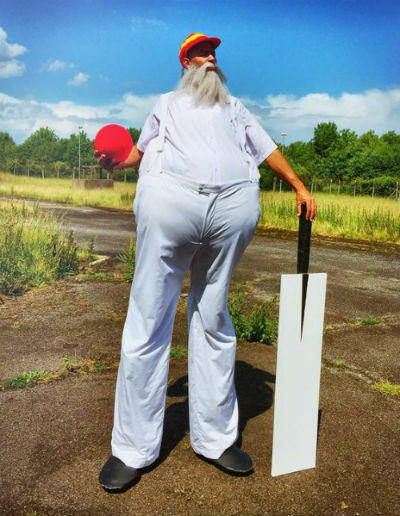 British stiltwalking icon Big John Bull is a force to be reckoned with…almost as wide as he is tall, John Bull is the centre of attention, and a great focus for any event. This act is perfect for corporate events with a British theme. It is also a great form of entertainment for Olympic themed events in London. This entertainer will really make your guests laugh. The Elementals are indeed mammoth. 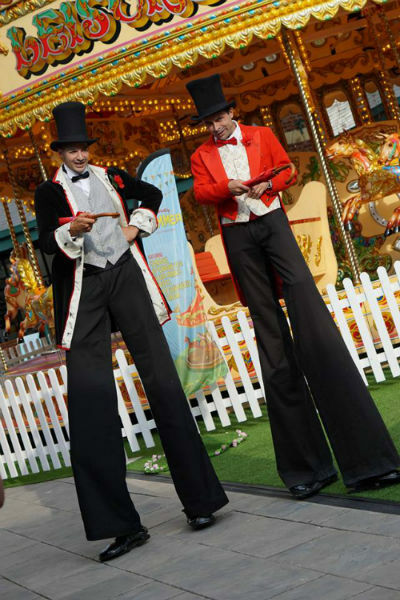 These awe inspiring giant stilt walkers can transform into statues at the wink of an eye thus creating a new and exciting sculptural oddity. Stilt walker statues can be static, roaming or indeed themed. Made from molten gold, forged deep within the Earths crust. The Elementals are huge stilt statues that roam the world seeking a home for their giant silver orb. They transform any environment commanding awe. 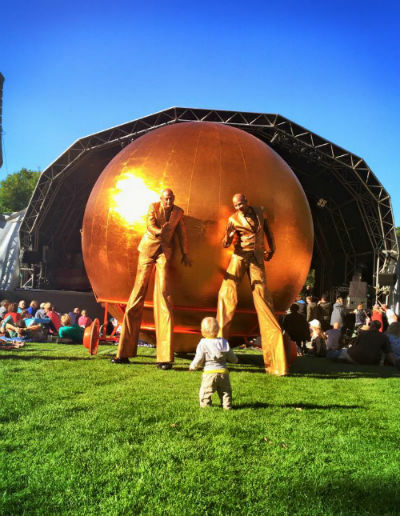 The Elementals bring their rolling street theatre show rolling right to the toes of their audience who themselves have been transformed to mesmerized statues. The Elementals are indeed mammoth (work with or without the ball). Reservoir Dogs meet the Blues Brothers. These guys are secret agents, over zealous security guards, gangsters and giant stilt walking bouncers all rolled into one. These stilt walkers frisk innocents, impose their foolery and break into dance. 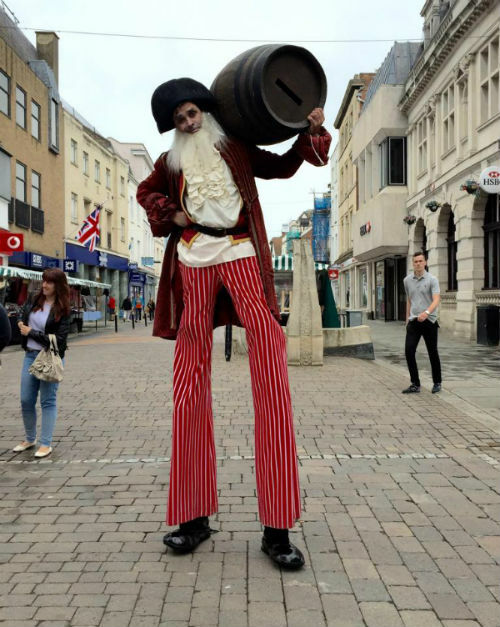 These tough stilt walkers inhabit a highly improbable world. 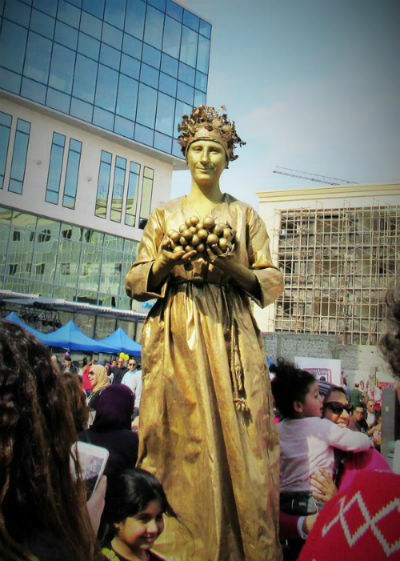 Adding spice to any event, a culinary skilled stilt walker is the cherry on the cake at any event. As seen at Jamie Olivers Fifteen Foundations award ceremony. 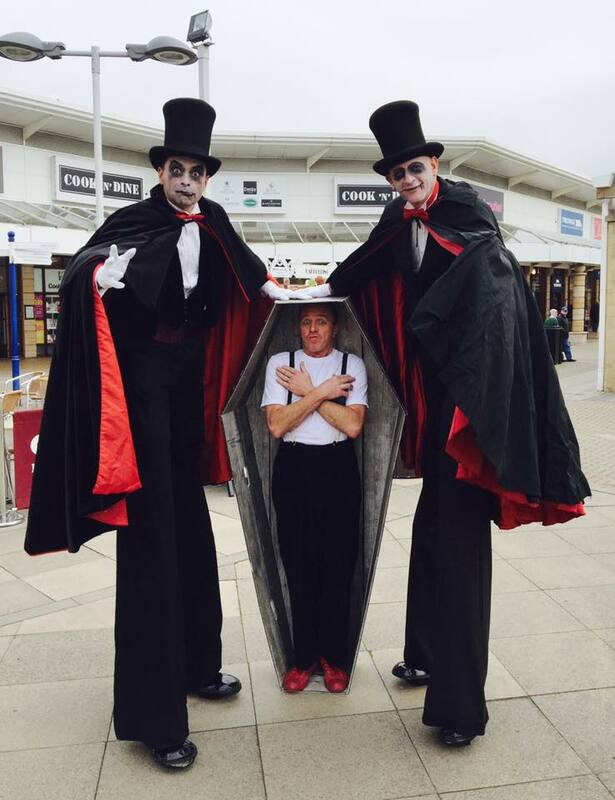 The Tall Order Chefs (up to six available), blazingly brilliant stilt walking celebrity chefs will add an extreme culinary angle to any event. Performed for Cadburys, Lindt and the Great Ormond Street Hospital. Theatrical expertise will be used to deliver wit and repartee. Different accents available. Elevating the tone of any event, the gentrified stilt walker gents will ensure fair play, Victorian values and amusing times are had by all. 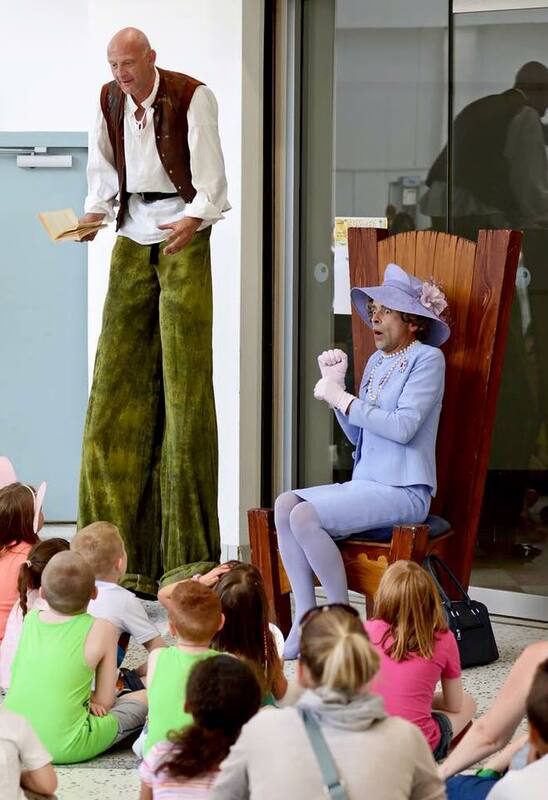 Never has a stilt walker been so proper! Be rest assured, be very rest assured and dont try any funny business or its the portokabin for you! Booked 5 years on the trot for the Great North Run. Ideal where banter with the public is appreciated. Variations on the costume could be bouncers, high visability jackets, car park attendants, police officers and other well meaning officials. Evening all! ello ello ello, what ave we here then, suspicious very suspicious, I hope youve got a license for entertainment. Such running commentary will keep the punters on their toes and looking sharp. Making sure that all are kept in order are the good old fashioned Victorian gent police! 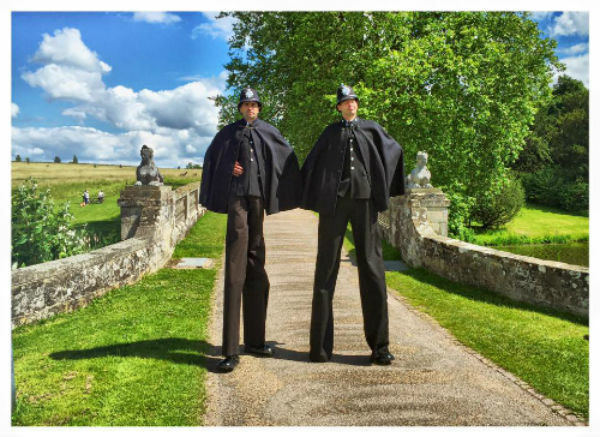 They really are the long ‘leg’ of the law! Contemporary human time piece ensuring punctuality and good timekeeping, this character was commissioned by the Jools Holland Hootenanny BBC show 2004 and has since been a regular fixture welcoming in the new year on the national television show. Also commissioned by the Jools Holland Hootenanny and rebooked year after year. Old father time is the essential addition to waving goodbye to old year and welcoming the new one. in a chimney. It’s a Yule tide dilemma for all! Christmas might have to be cancelled! If it hadnt been for all those mince pies… Also available is Santa on stilts! A great choice for a Cockney themed event!